Feather quilts | Hunnia Daunen Kft. The feather filled products are realy timeless, we are able to find some feather pillows and quilts at our grandparents’, that they still love to use. This product is planned for summer nights, but it is perfect for not so colder-feeling people at winter nights too. The inlet is 100% featherproof cotton, which prevents the feather going into the air. Becuase of the cassettes the feather covers the complete body. The feather filled products are realy timeless, we are able to find some feather pillows and quilts at our grandparents’, that they still love to use. It has great thermal insulation, encompasses to the body, anatomically perfect. 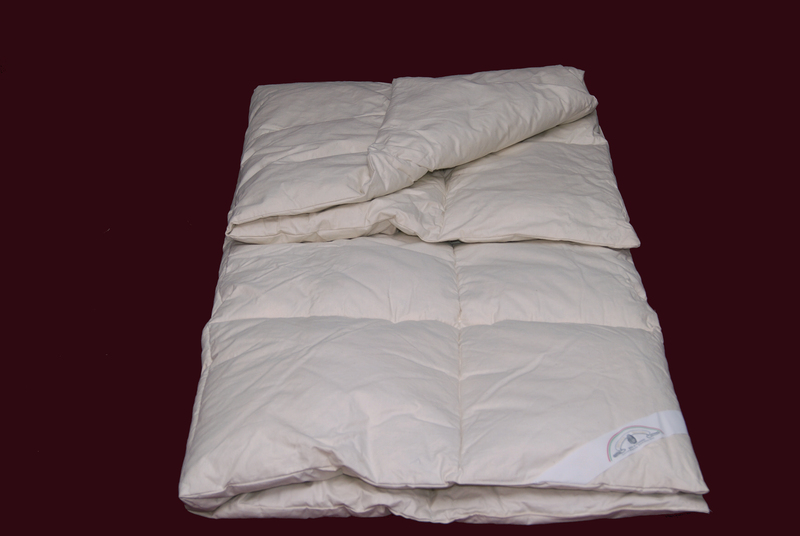 This product is planned for the winter nights, but it is perfect for the colder-feeling people at summer nights too.